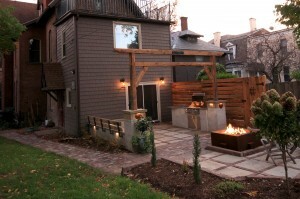 An Eastern Hemlock fence frames the stone and reclaimed brick patio. 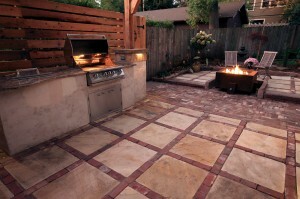 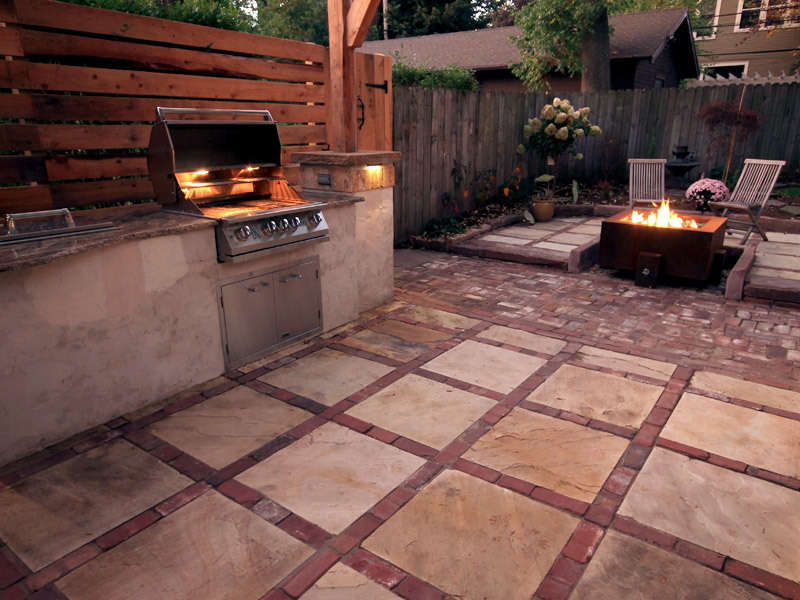 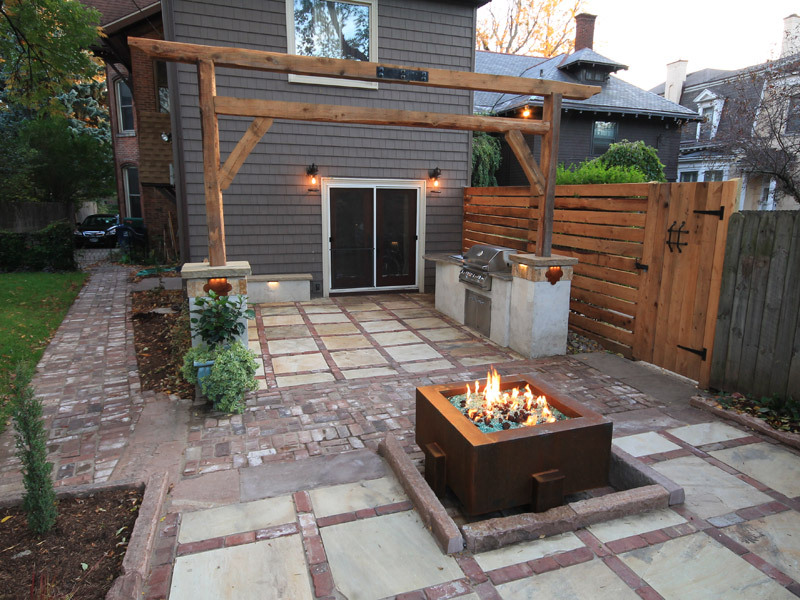 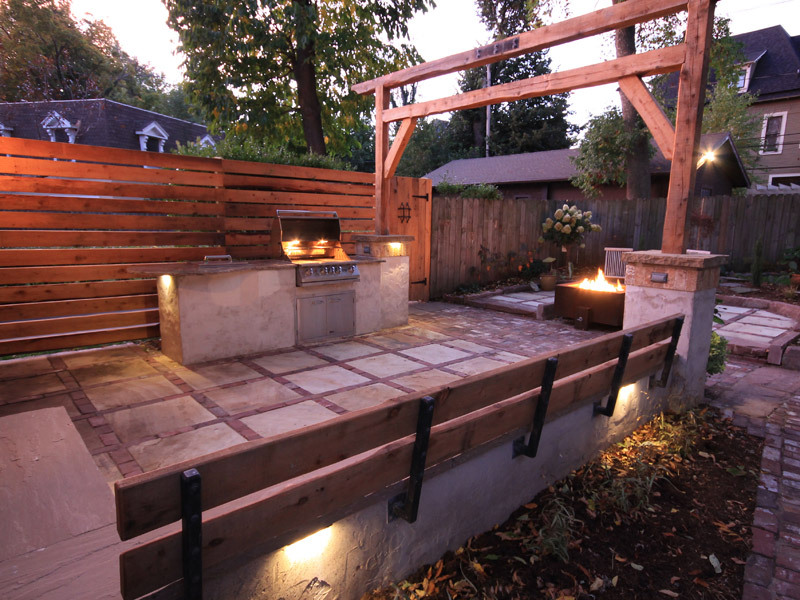 Inspired by southwest ranch aesthetics, this backyard outdoor living space features a custom-built Cor-Ten steel fire feature, stucco outdoor kitchen, and built-in steel and wood benches, all flanked by an Eastern Hemlock fence and accented with a reclaimed brick and natural cleft fossil stone patio. 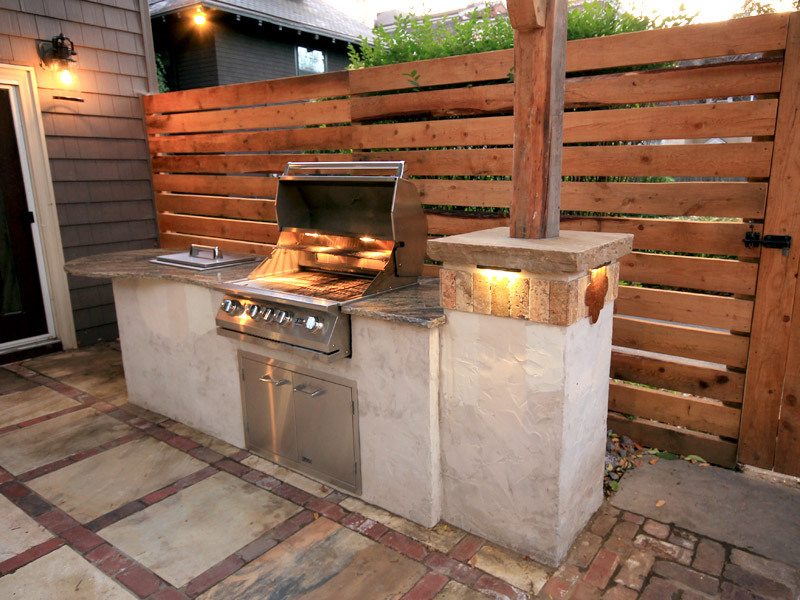 Low voltage accents lights complete the design, making it an inviting space during the day or evening.